Celebrating Easter is definitely one of our favorite Holidays during the year! 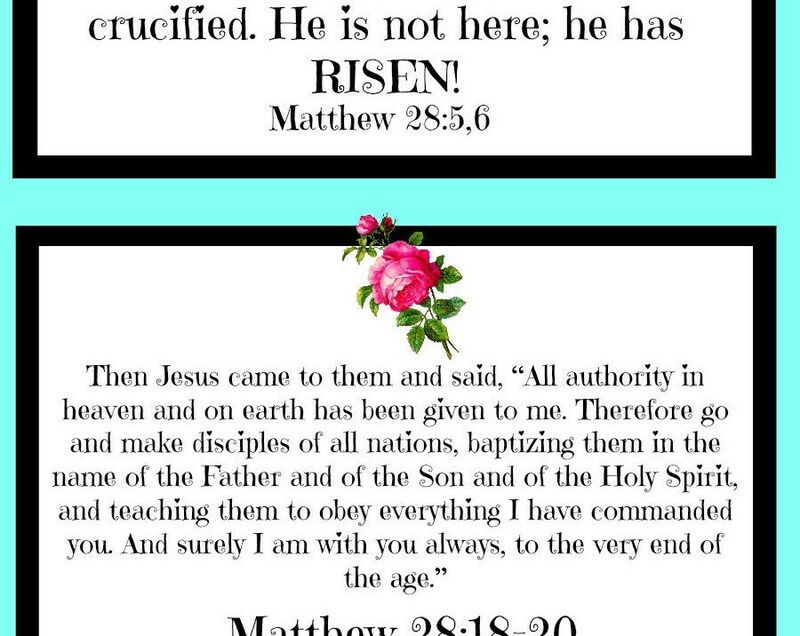 Believers worldwide celebrate Easter as a way of acknowledging Jesus has risen from the grave. It is a wonderful day and one to be celebrated. 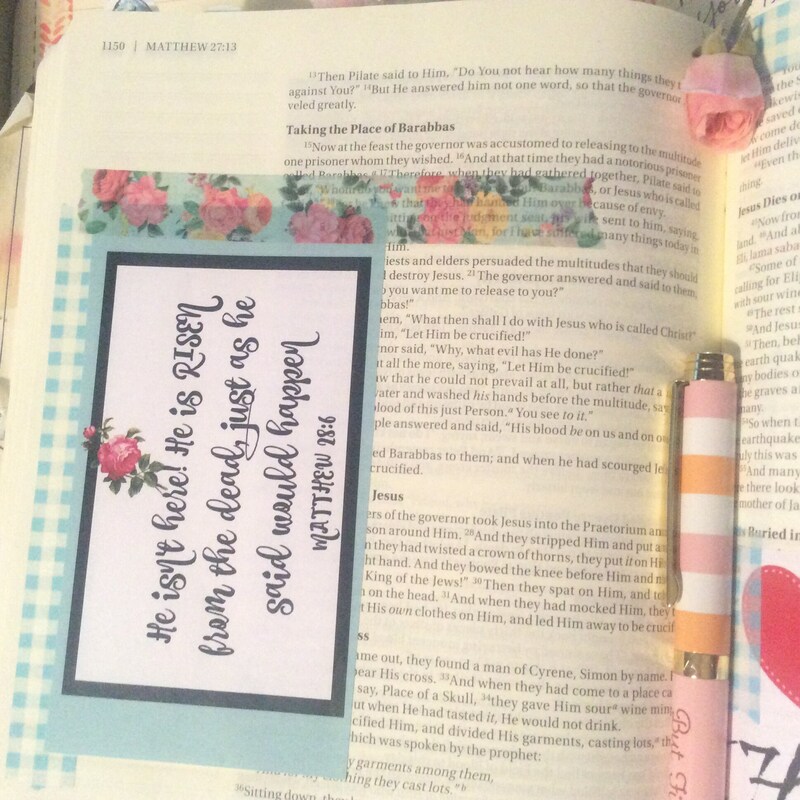 Personally our home is decorated for Spring with beautiful flowers, pastel tablecloths and dishes, and Easter signs have been place throughout the house, and I thought I should decorate my planner and Bible! 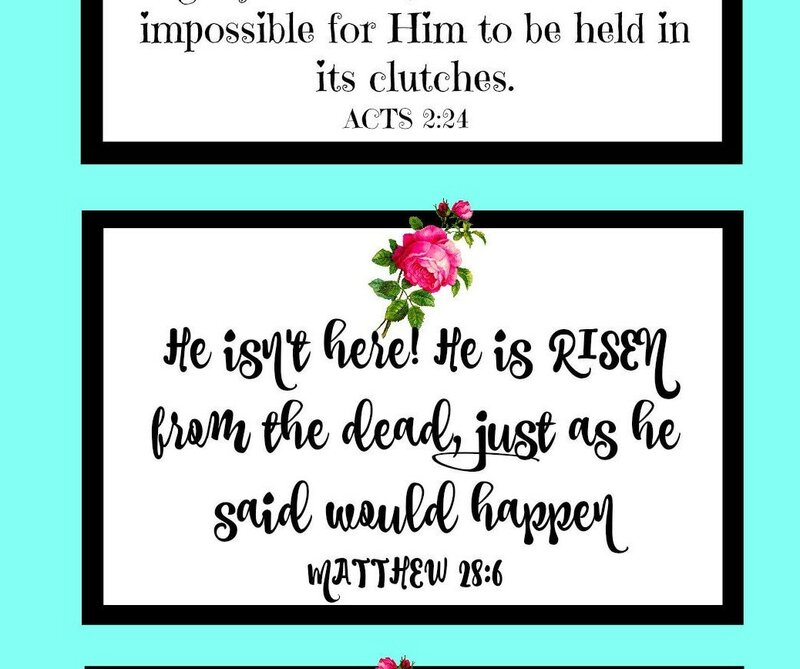 With that thought in mind I designed a few Easter collection printables. Beautiful colors that represent Spring, and wording that represents the Resurrection of Jesus Christ. Put them together and you have a beautiful set to easily decorate your notebook or journal. What you will receive in this listing is a downloadable file. 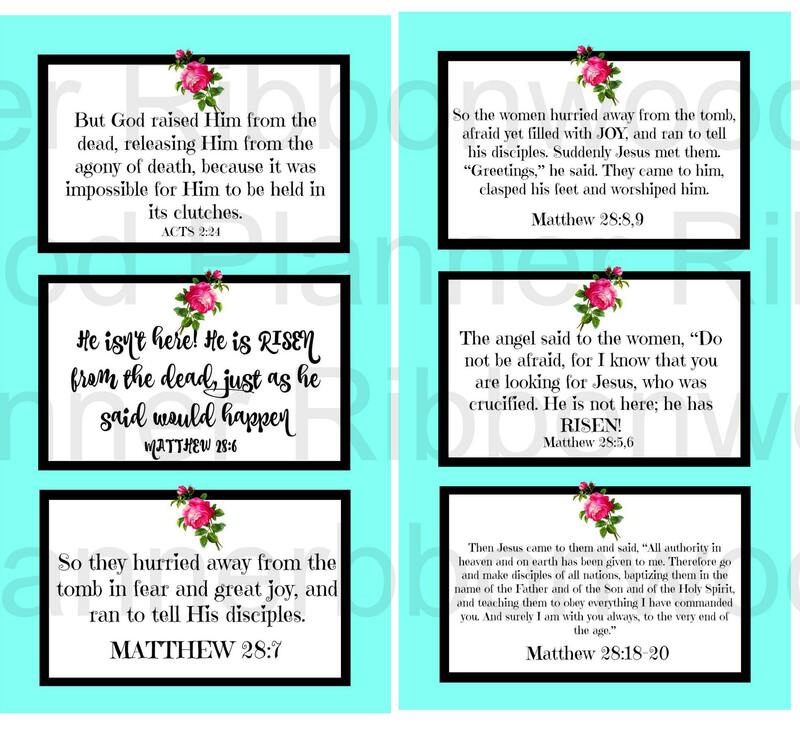 Scripture and floral embellished Planner or Bible journaling Cards. This is a file for a digital download not a physical listing that is mailed. THE ORIGINAL SENT to you as the digital file will NOT have the watermark that you see in the first picture. This file can be printed out multiple times and used for your personal use as often as needed. Print out on white card stock for a durable paper, or copier paper if desired. 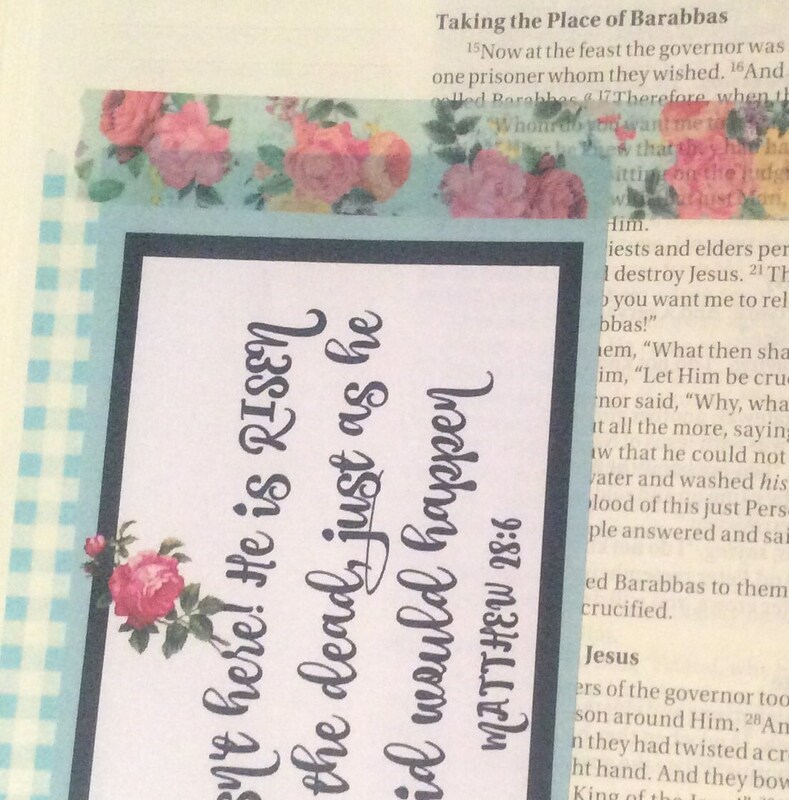 These journal cards are great for familiarizing yourself with scriptures that have to do with Easter and the resurrection. They can also be printed out on sticker paper. Because this is a digital file the colors can be a bit different according to the printer that is used.